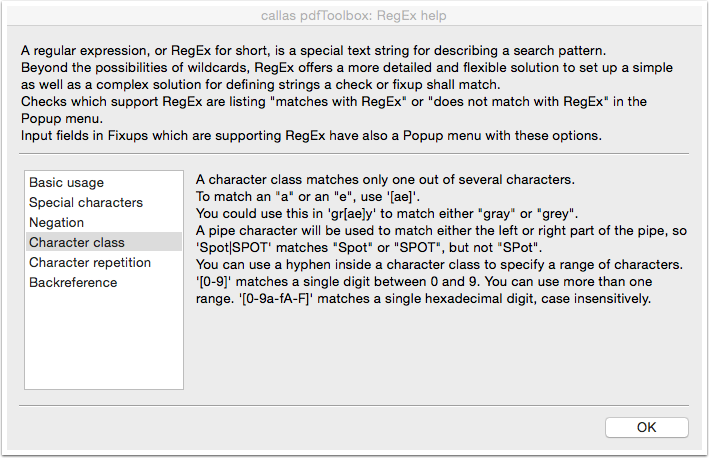 In fields that offer variables, you can use regular expressions too (RegEx). 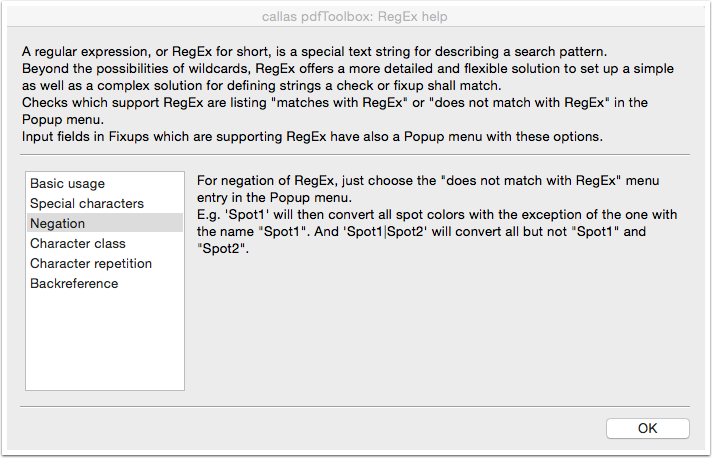 It allows complex search patterns with special strings. 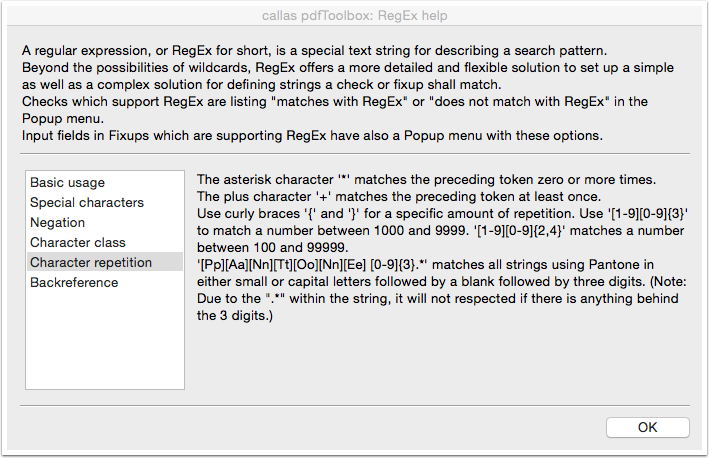 pdfToolbox 8.0 has improved the integration of RegEx. 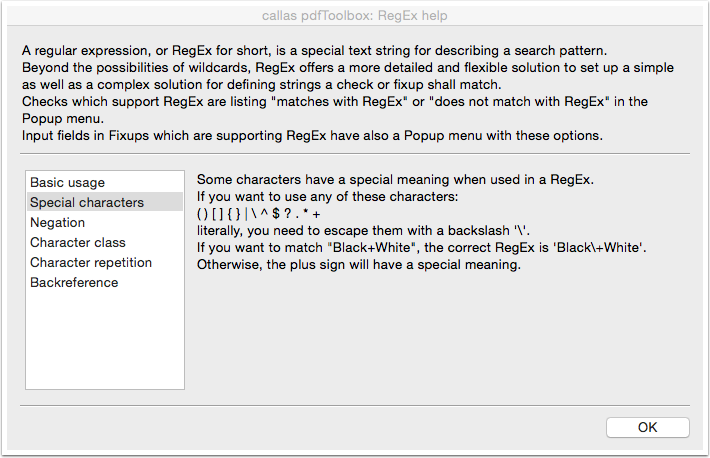 If an input field alles regular expressions can be recognized by the RegEx icon next to the pull down menu. 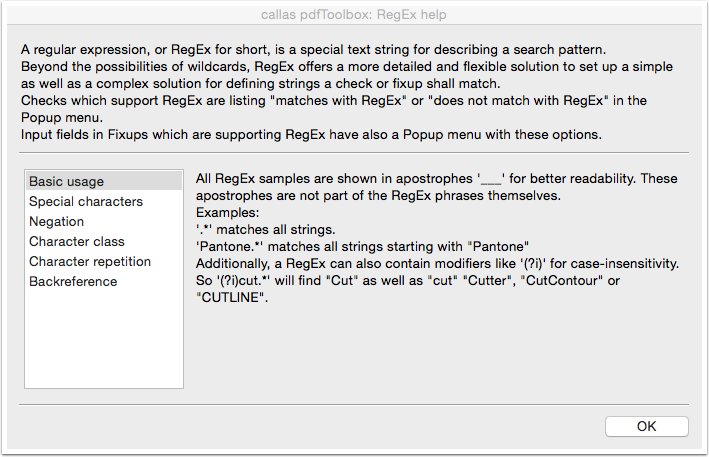 Regular expressions can be used in some Checks or Fixups. 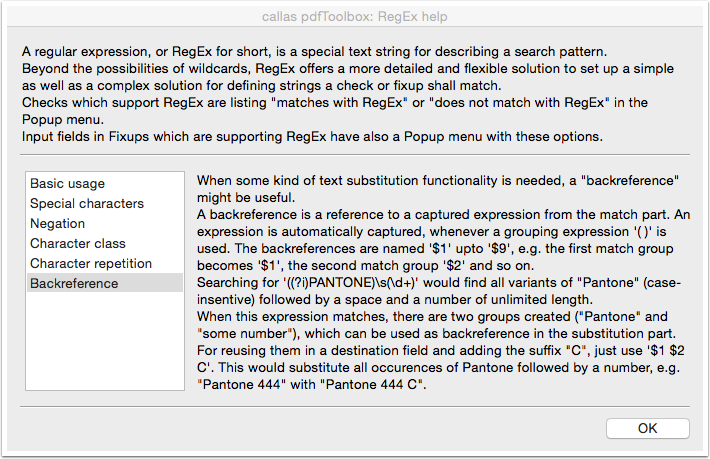 By clicking on the green "RegEx" icon, an assistance to the practical possibilities of the regular expression is shown.